This Planet Fitness was in need of a cool down. 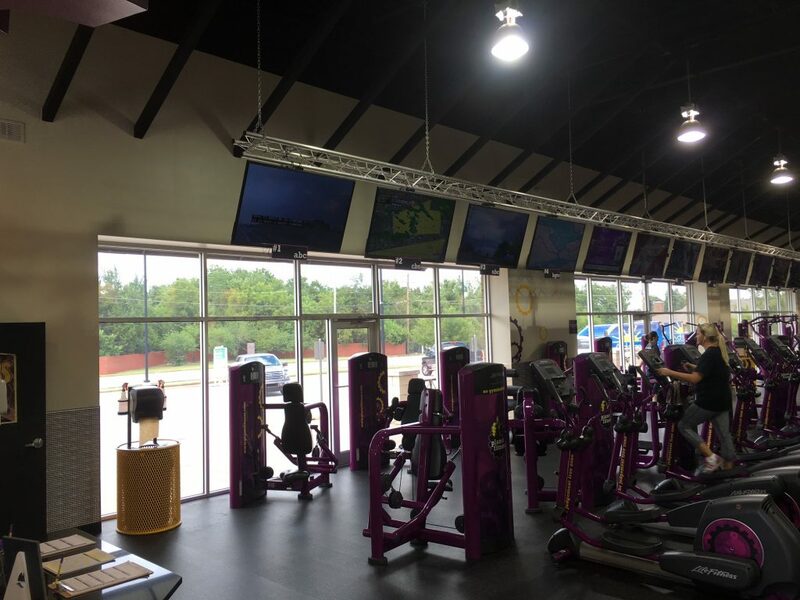 While the wall of windows across the front of the facility provided natural light and an open feel, the facility was suffering from heat coming through the glass and a irritating glare issue at certain times of the day. After accessing the problem, the team at Adams Window Tinting specified Huper Optik Fusion 28% to fully address the issue. This film will cut a significant amount of the heat coming through the glass and has enough tint to it that it will address the glare issue without making the windows too dark. 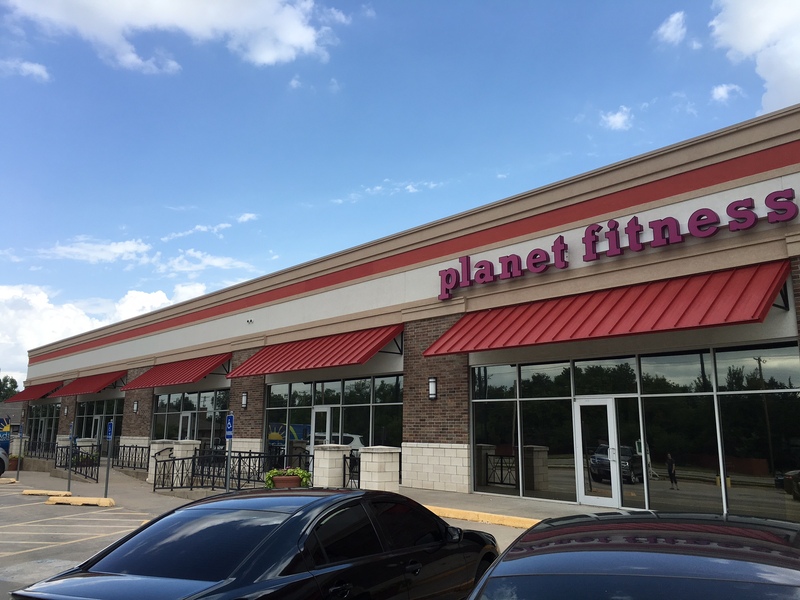 This was just what was needed and now the members of this Planet Fitness can exercise in comfort. Adams Window Tinting is the only Huper Optik authorized installer in the Oklahoma City area. Make sure you are getting the best. Contact us today at (405) 787-6798 to find out how window film can help save energy, reduce heat, cut glare and the nearly eliminate the harmful UV rays that cause fading from coming through your windows while maintaining your view. We would be happy to provide you with a completely free, no obligation assessment and estimate of implementing a window tinting solution.